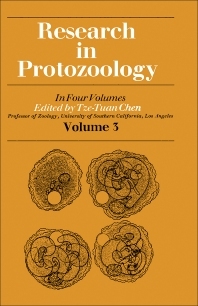 Research in Protozoology is the third book in a four-volume series on protozoological research. Like the previous two, this volume covers the cytology, parasitology, fibrillar systems, and genetics of protozoans. This volume explores the immunological aspects of infections caused by protozoans, identifies the organisms that live in and on protozoans, and describes the pathogenic and metabolic pathway of protozon infections. It also discusses the protozoan fibrillar system and the macronucleus of ciliates. This book will be of interest to persons dealing with studies on the genetics aspects, cytology and parasitology of protozoans.